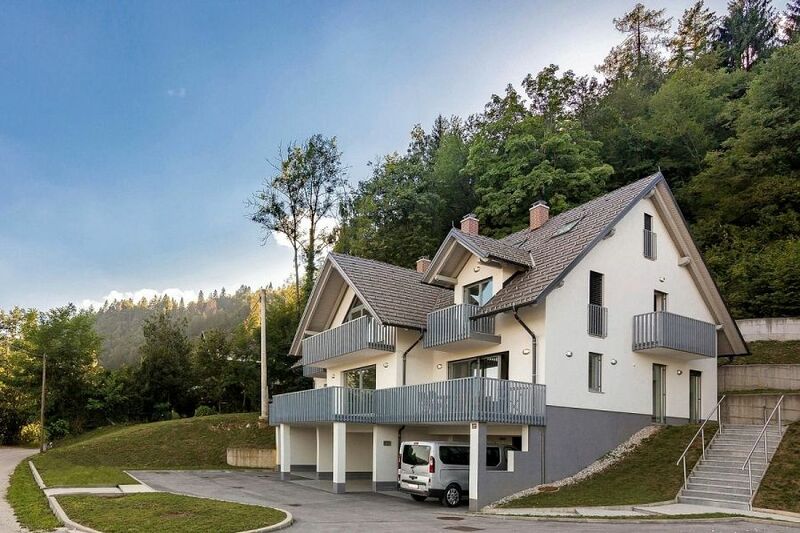 Villa Recica sits in a stunning peaceful location, just a few hundred metres from the shores of Lake Bled, its island and the Karavanke Mountains as a back drop, with the impressive Pokljuka forests stretching to the rear of the property. The Bled area is surrounded by beautiful scenery and things to do from walks around the lovely Vintgar Gorge and various hills surrounding the lake to great mountain walking and mountain biking on the Pokljuka Plateau, kayaking, canyoning and rafting on the Sava River and its tributaries, as well of course as swimming and boating on Lake Bled itself. Villa Recica is located in a quiet residential area on the desirable castle side of the lake, ideally placed to access all that the area has to offer, with excellent restaurants (including the highly rated 1906 restaurant at Hotel Triglav a short walk away) and a fantastic lakeside beach area just a 20 minute walk away, offering a snack bar, restaurant, beautiful lawned areas to relax on the lake shore overlooking views of the island and the mountains beyond. From here you can also access to the path circuiting the lake for beautiful walks in both directions. If you don't feel like walking you can drive for 3 minutes from the house, park and walk for a few minutes down to the lake shore. 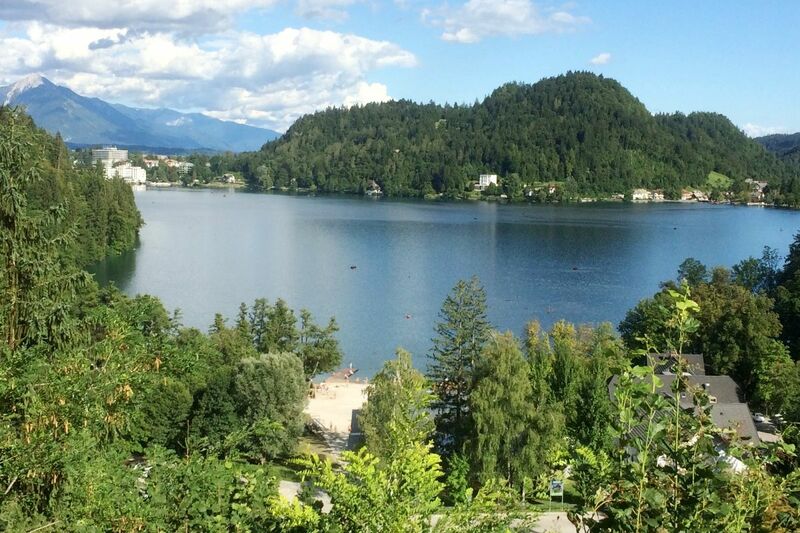 The centre of Bled town is a 5 minute drive or a beautiful half hour walk around the lake shore. Please note as the Villa is in an elevated position there is a modest climb to reach the property form the lake shore. The North House at Villa Recica is located on the right hand side of the left hand building as you look from the road, spreading over 4 levels. Lake Bled is in a fantastic position for exploring Slovenia’s many sights with plenty of easy day trips possible including stunning Lake Bohinj just 25 minutes away, Slovenia’s pretty capital Ljubljana and the medieval town of Skofja Loka each just 45 minutes drive away. The Bled area is also a great place to be based for exploring Slovenia's many ski areas - there is a small resort in the town itself but most skiers based in Bled visit the excellent resorts of Vogel, Krvavec & Kranjska Gora which are each half an hour's drive away (or there is a ski bus from Bled to Vogel / Krvavec). There is a wide range of other ski areas in Slovenia / Italy / Austria within day trip distance from the property. Please click here for a map / guide to these resorts. Bus From central Bled there is bus station with connections around the country. Ski Bus There is a ski bus from Bled to Krvavec that runs only during the ski season, only on weekends, departing at 9am and returning at 4pm. There is also a ski bus that runs from Bled to Vogel, only during the ski season on days that are suitable for skiing and the ski centre is open. Departing Bled at 9am and returning from Vogel at 4pm. You will also find bus connections from Bled to a variety of destinations in Slovenia. 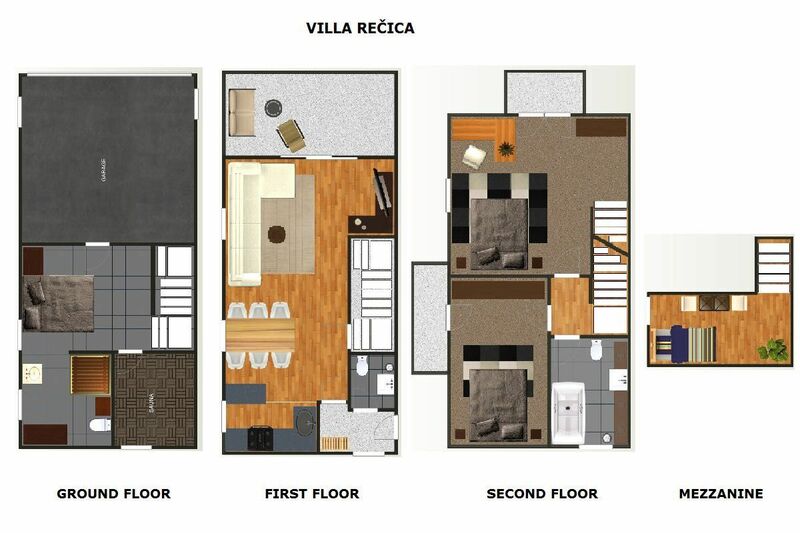 Villa Rečica North house is a contemporary house stretching over 4 floors and is one of three semi-detached houses in the building. 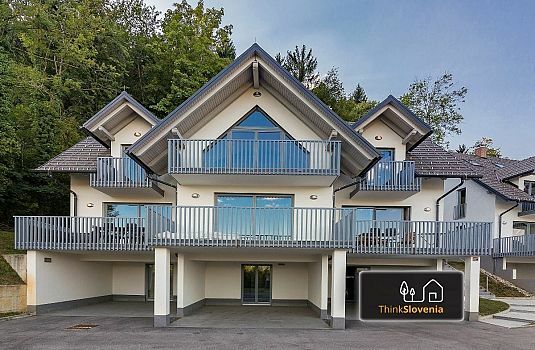 The property, built in 2014, offers high specification professional interior designed accommodation which is both comfortable and spacious in a stunning setting with spectacular lake and mountain views. Offering accommodation for groups of up to 9, the main entrance is to the rear of the Villa on the first floor. 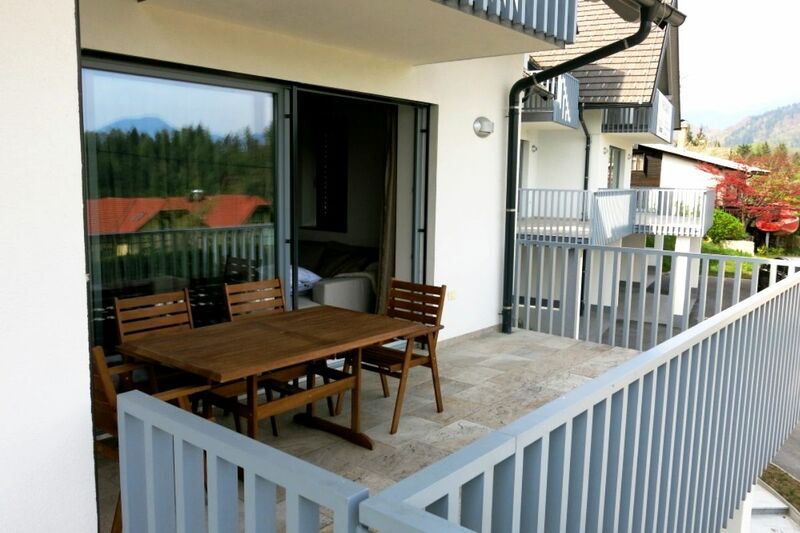 An entrance room, leads to a spacious open plan kitchen (equipped with high quality modern fittings and fixtures), dining and living area (includes a fold out double sofa bed) which opens on to a large sunny terrace, which looks over Lake Bled and the iconic Mount Stol. There are outdoor charis and table making it the perfect space to enjoy a meal whilst soeaking up the magnificent views. On this floor is also a WC. 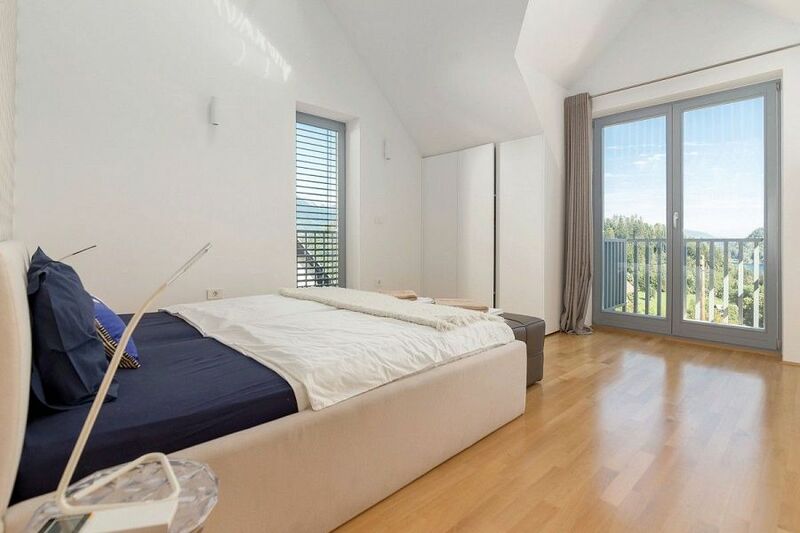 On the 2nd floor are 3 bedrooms - a master bedroom with double height ceilings and balcony overlooking Lake Bled and a 2nd bedroom with double bed also with its own private balcony. 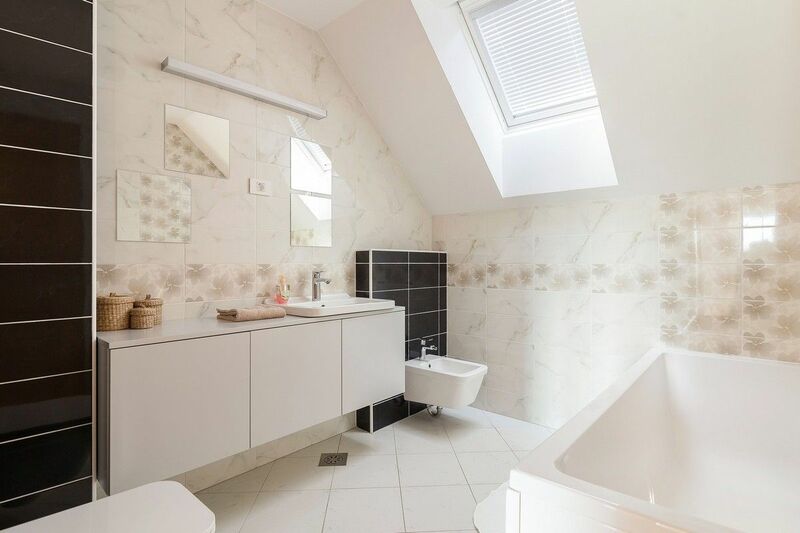 The second floor also has a large bathroom with bath. From the master bedroom a mezzanine is available which can be used as a study or as a third bedroom (day bed / sofa which folds out to create a double sofabed - please note as this is a mezzanine from the master bedroom it is great for families, but may not work for couples). 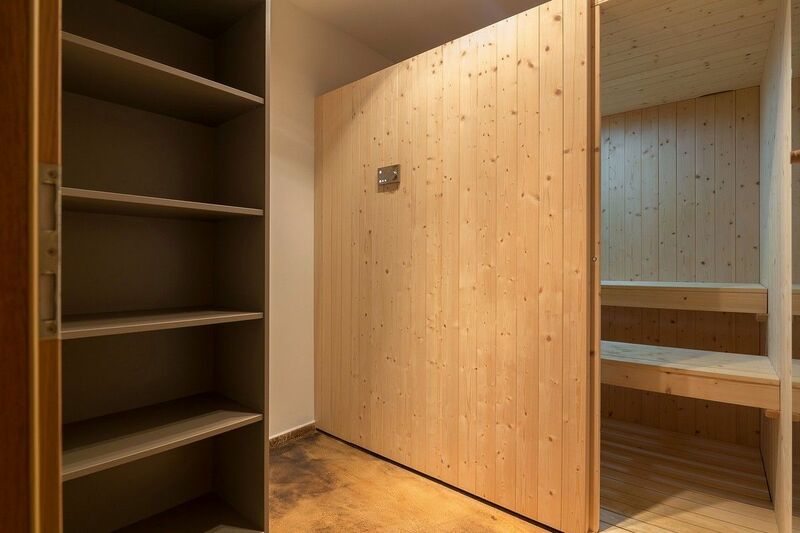 On the ground floor there is another bedroom with double bed and a top of the range sauna, bathroom with shower, storage area and access out to the covered parking area for two cars. The house is extremely well-appointed with designer furnishings throughout as well as modern facilities including internet and a large LCD TV with free cable channels. Bathroom notes Two bathrooms (one with shower, the other one with bathtub), additional separate toilet. Kitchen The kitchen is well stocked with utensils and has a hob, oven, fridge with freezer compartment, dishwasher, kettle, toaster & coffee machine. A large kitchen island is great for meal preparation or a more informal sitting area. In the basement there are washing machine and a drying rack. Living room The living room of the apartment is open plan with the kitchen / dining area and has large L shaped sofa (bed) and access onto the terrace. Dining room / area Seating for 8. Also external dining table and chairs on the terrace. Garden / outside space There is a large terrace accessible from the living room with a table and chairs and with a beautiful views to Lake Bled. A spacious balcony is accessible from the master bedroom also overlooking the lake and the second bedroom has an additional balcony. Multiple week discount: 5% discount on stays of 10 nights or more in all seasons. 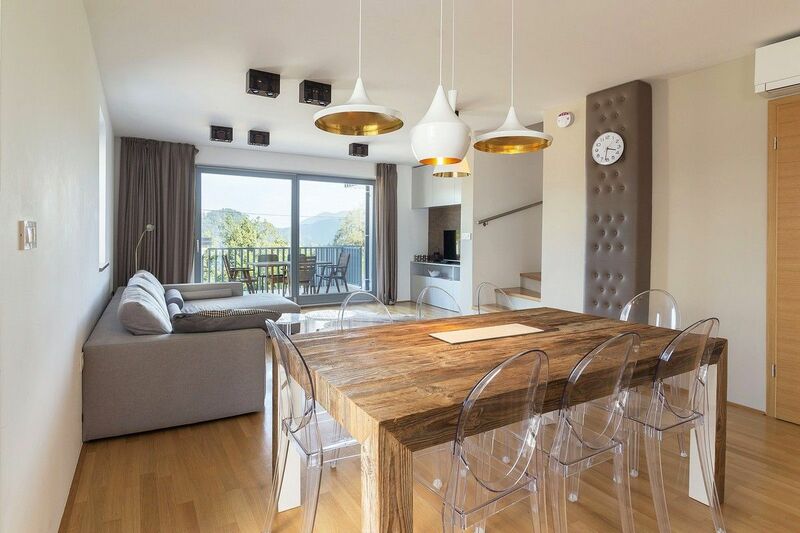 Villa Recica is a spacious, contemporary house, with stunning high specification interior design, in a beautiful position just a few hundred metres from the shoreline of world famous Lake Bled, named by Yahoo Travel as one of the World's 10 Most Beautiful Lakes. 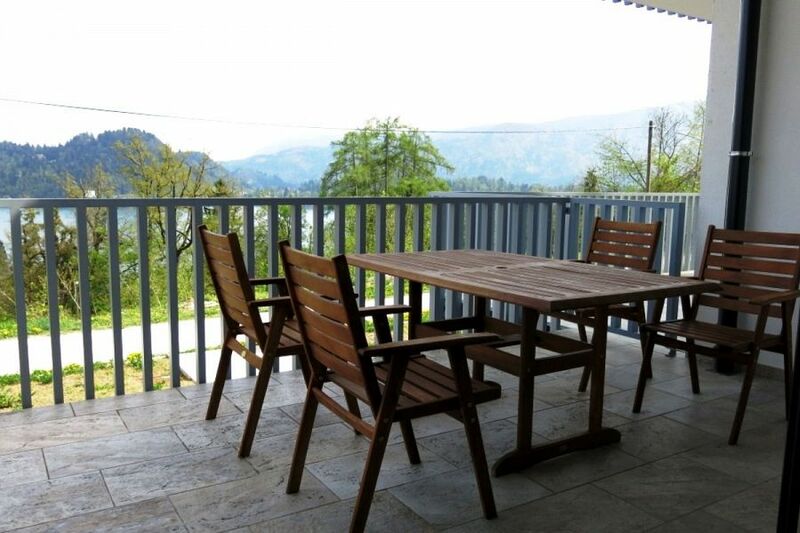 The house is in a tranquil setting with a wonderful view over Lake Bled with the rugged Karavanke Mountains in the background, with a fantastic lakeside beach area 20 mins walk away. 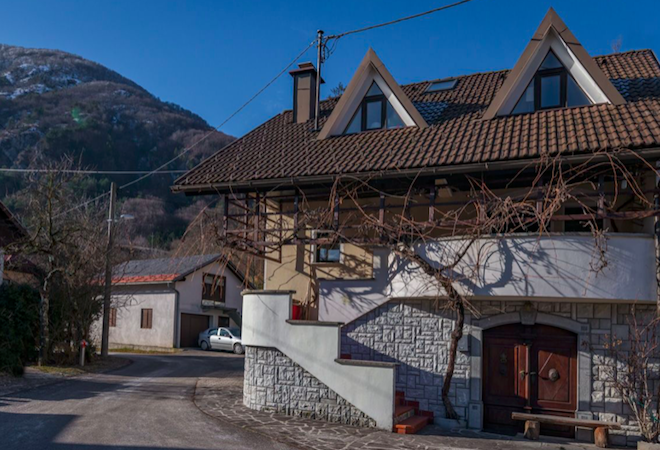 The North house at Villa Recica sleeps 9 people, offering 3 double bedrooms, 2 with its own balcony (one overlooking Lake Bled) and a mezzanine 4rd bedroom / study and a sofabed in the living room. It is luxuriously fitted out with designer furnishings and high quality fixtures, with 2 bathrooms, a relaxing sauna, an open plan modern kitchen /dining room / living room, covered parking for two cars and magnificent private terrace lake view terrace. For larger groups Villa Recica South house is available to rent in the same complex offering additional high quality accommodation for up to 10 people. We are very satisfied with the accommodation, the view is beautiful from the balcony. I strongly recommend it. Great location, very clean and well kept. Perfect for a family vacation. Dan's house was clean, perfectly located and homely. Definitely recommend! Beautiful home with large living and dining spaces great for a big group. Lovely view of the lake, sauna was fun, and comfy beds. The one thing to keep in mind is that there are no extras like shampoo and salt, pepper, and olive oil for cooking, so you'll need to outfit the place with all of such things. Lovely peaceful place though. The villa is amazing, and I wish I could bring my entire family over to hang out in Bled for a week. This place is very modern with automated shutters tons of windows and light. It's really a shame that I didn't get to spend more time IN the villa since we were always out and about in the area enjoying Bled's beauty. The villa is lovely with a modern feel, and the views are amazing from the balconies and the main bedroom, you can see the sunrise over the mpuntains in the morning. The check in was really easy and the directions were really helpful. Beautiful location. Place is just like in the photos-really stylish, comfortable beds and the view is amazing. You can walk to the lake but a car may be preferable. We loved our stay. Nice property. It is on the opposite side of the lake, close to a camp site. There are not many restaurants or supermarkets nearby, so be prepared for a walk, drive or bike ride. 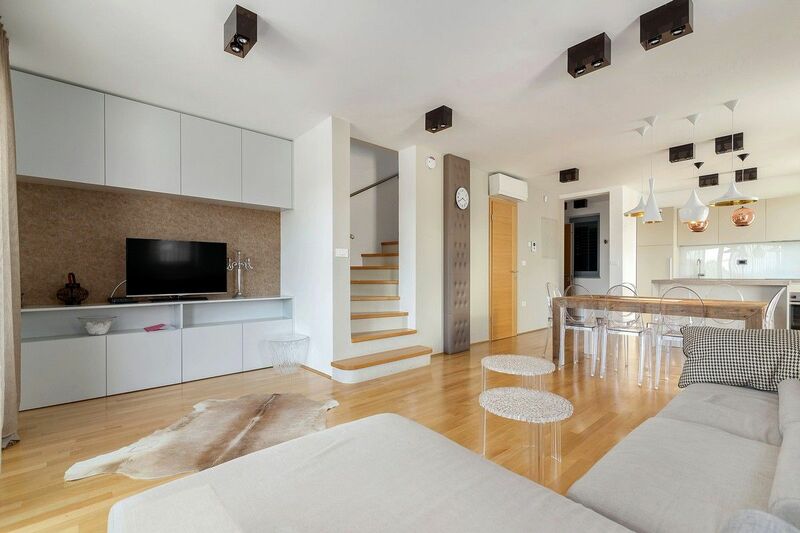 An excellent, modern apartment, clean and spacious with great views of the area. My wife and I stayed with our 3 teenage daughters who thoroughly enjoyed our week here. 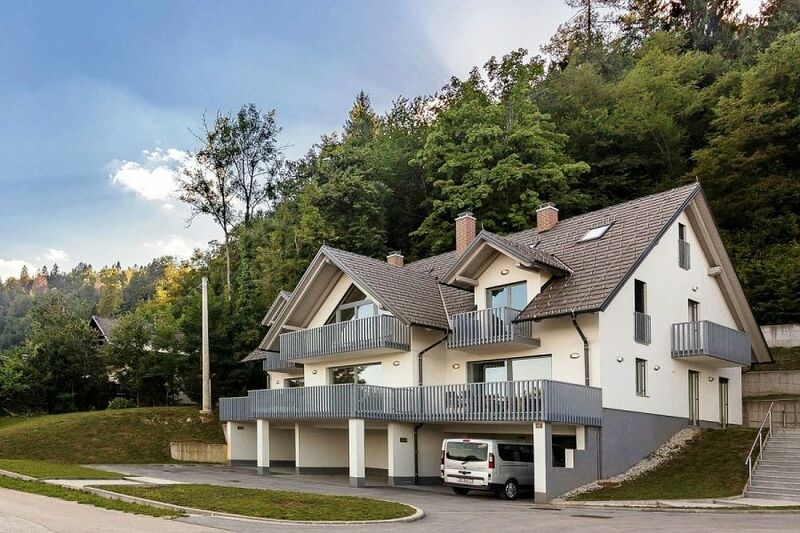 If you are not an active family or have very young children then a car would be beneficial, however we found it easy to access the lake and some beautiful trails giving stunning views of Lake Bled which were very close to the property. As a host, Dan was great, very prompt with response, check-in was easy, instructions for keys were clear - we would happily stay here again! 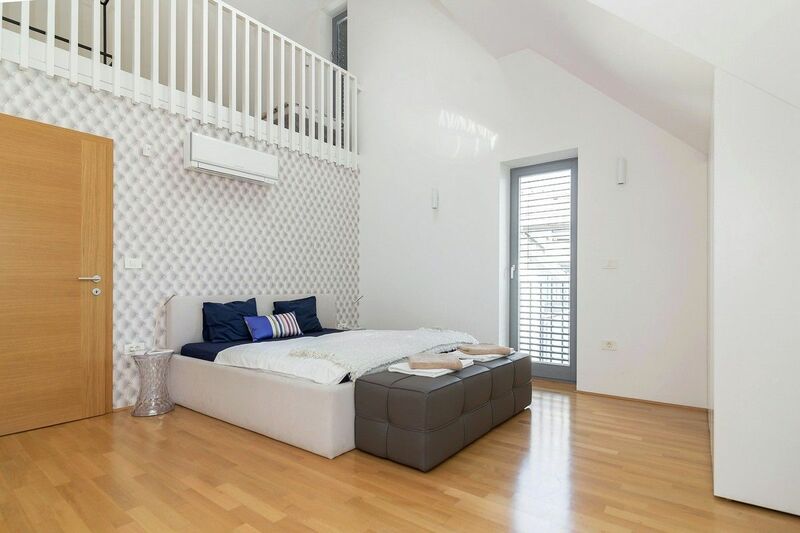 Villa Recica North is a beautiful contemporary home, with furniture and fittings that look brand new. The home is spotlessly clean and a pleasure to spend time in. A little higher up the hill than some homes, but this gives more tranquility and panoramic views over the lake. Great Villa. Would love to stay again. We absolutely loved our stay in Lake Bled. The area is so beautiful, and the house is very conveniently located to all the sites. The house was just as it was pictured. This is an amazing apartment. The view is breathtaking and the location is awesome. The hosts were in contact regularly and responses were very fast. I would highly recommend this apartment and Bled as a travel destination. 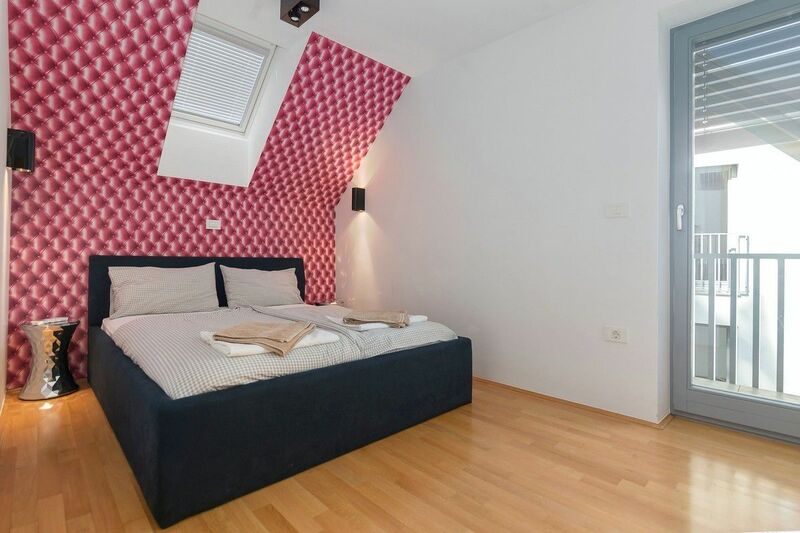 If you are thinking of traveling to Slovenia - don’t give this apartment and Lake Bled a skip. Fabulous stay in an amazing setting. A 10 minute walk to lake, swimming restaurants etc, Triglav Restaurant fabulous. If you need to explore Bled probably need a car, which Triglav Hotel arranged for us with local rent a car at very reasonable rates. Whole area is amazing, Everything in apartment was great. Beautiful house and nice private location with lake view. Great property in an amazing location. 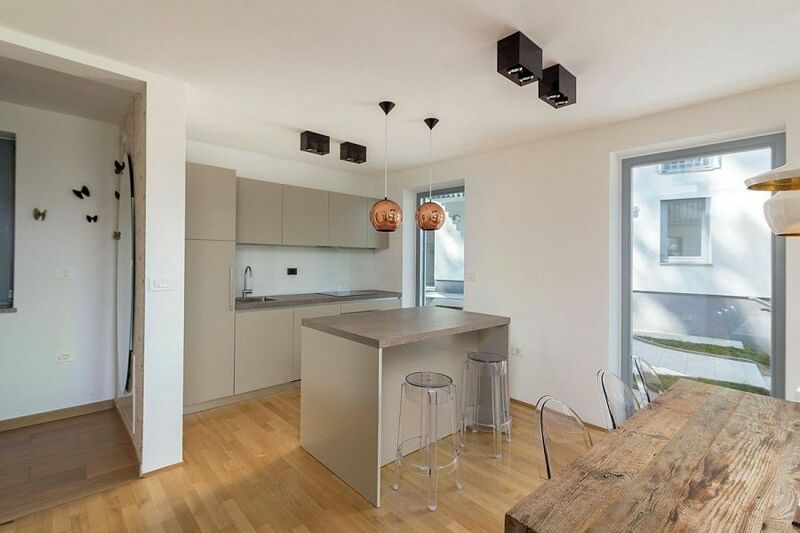 The apartment is fantastic, very modern and with a view to the lake. 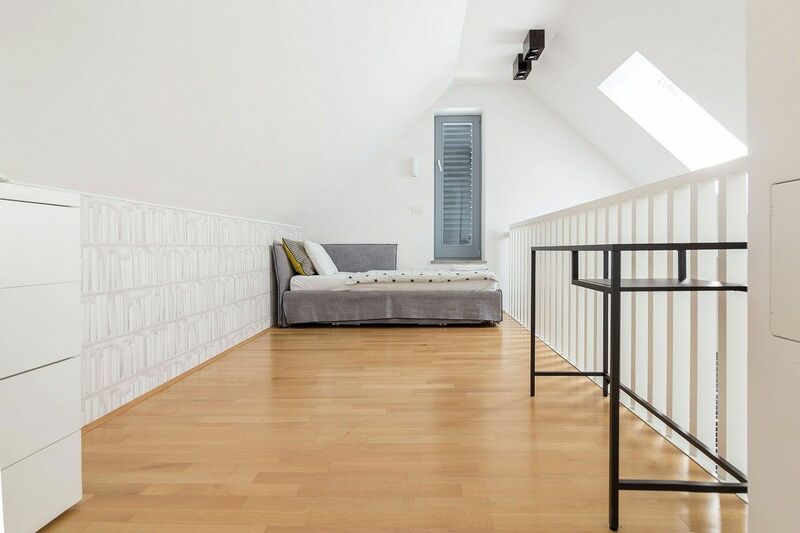 Très belle villa au calme.Proprete 10.Decor moderne. Belle construction au calme et proche de la ville. À conseiller . Merci Dan et Airbnb pour l'organisation. Absolutely ideal villa for your stay! Loved it! Will recommend to anyone willing to listen :) thanks! We had a fabulous week at Villa Recica. Clean, warm and comfortable with a gob smacking view across Lake Bled. The weather played a part; clear and bright. Sunrise over the mountains opposite were truly unforgettable. We loved this part of Slovenia. People were very friendly and there was plenty to see and do. Dan's place is really clean and tidy, specious and luxury. Would like to visit again. Dan's house was excellent. The great view was priceless. We enjoyed our stay there. The villa in amazing location Highly recommend. Absolutely awesome. Great apartment. Fully equipped with all we wanted. Spacious enough to accommodate all six of us. 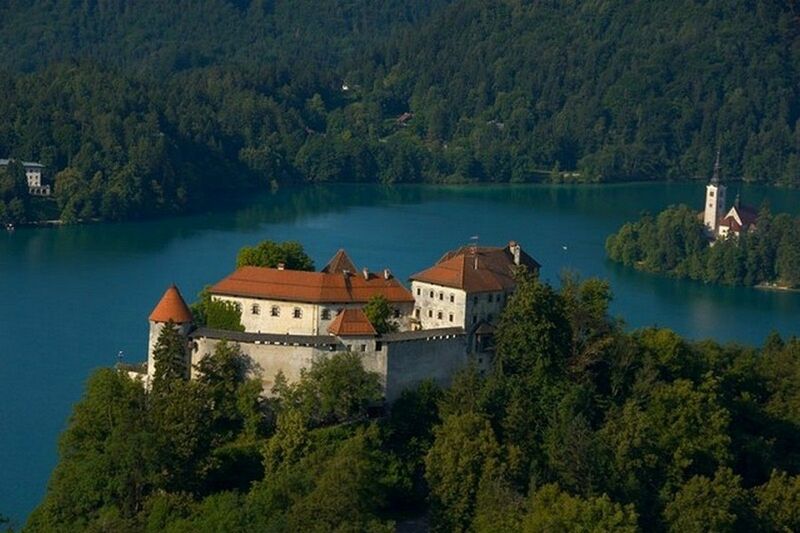 We are a family of six and we wanted to spend a week in Bled. Although apartment is not in the center, we liked its location. 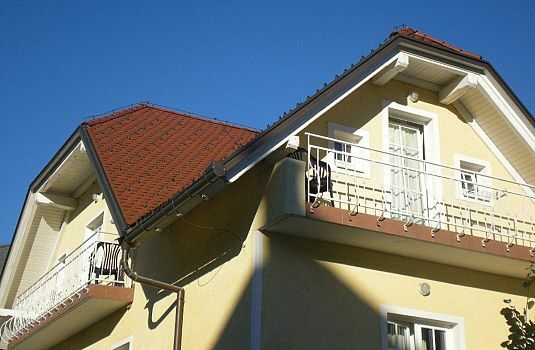 Center is not far and apartment offers a beautiful view to the lake. Apartment is in an excellent condition and designed as we like. Very comfortable. No interaction at all with owner. Actually we didn't need to... Recommend this one. Thank you Dan. Really enjoyed our stay - great location and facilities. Highly recommend. I stay for three nights really it is a very clean home and good location . The owners of the house friendly and explains everything to me prior to arrival I really liked this place Thanks for everything. It was an exceptional experience, we felt at home, a home that people lived in and loved it. The house was just perfect! Very clean and comfortable, full of books and games. 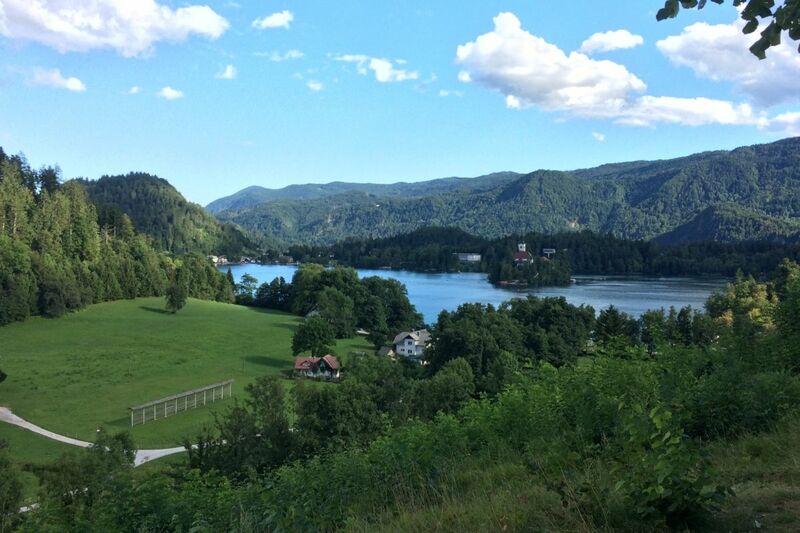 5 minutes driving to Vintgar falls and 10 minutes to Lake Bled. We would definitely like to visit again ! 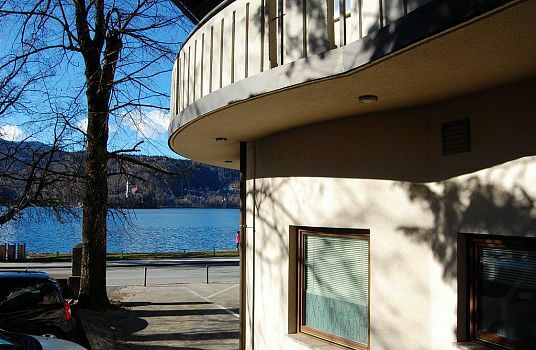 Nicely appointed villa with great view of the lake. Walking distance from the lake (10 mins down a hillside path) and 30 mins (along a gorgeous lakeside path) to the town. Good space for 5 of us. Very clean. Super communication prior to arrival and helpful recommendations for transport. Beautiful, serene home in Lake Bled. Amazingly lovely views. Clean and spacious and so inviting. Highly recommend. We'll definitely be back. House was comfortable, clean with a nice view to the lake. It is located in a nice and quiet area. Hot water runs out quickly. We had a good time. Great place to stay. The house was very nice, clean and spacious. Location is quite and overlooks the lake. We had a group of 6 people and had enough room for all of us. We were given the instructions to access the house and had great communication. 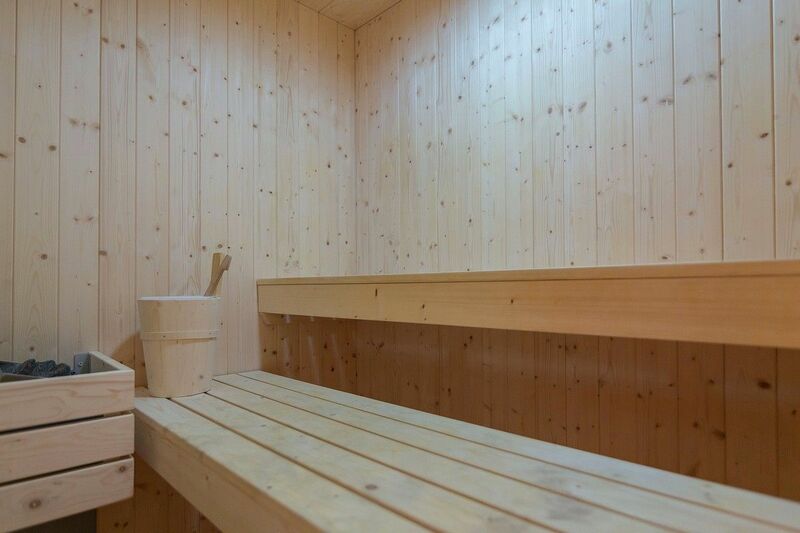 We did have a problem with Sauna and the hot water was limited - so very quick showers. Our family of 8 had an enjoyable time staying in the house. It was in a quiet area, very clean and big enough to accommodate all of us. We had easy access to the attractions around Lake Bled. We felt at home there. The house itself is beautiful. Lovely views, great showers and beds and a fantastic kitchen. However if you are three couples, it is more comfortable for two as the third room is in the master bedroom. There is ample parking and when the door wouldn't lock someone was with us to fix it straight away! Ana was a fantastic help too. 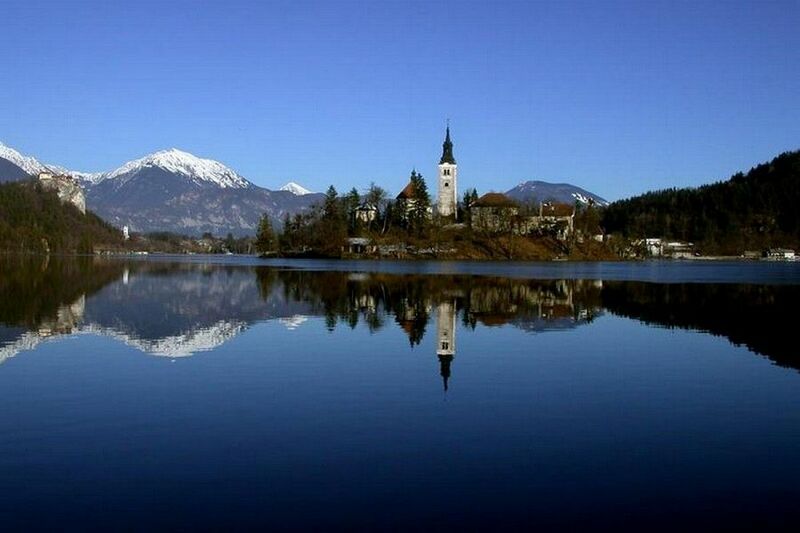 Lake Bled is so beautiful and this house offers a great place to see all it has to offer! We had a great stay at Lake Bled. The facilities were perfect for our needs. The hot water runs out quickly but everything else was great! The town is amazing. 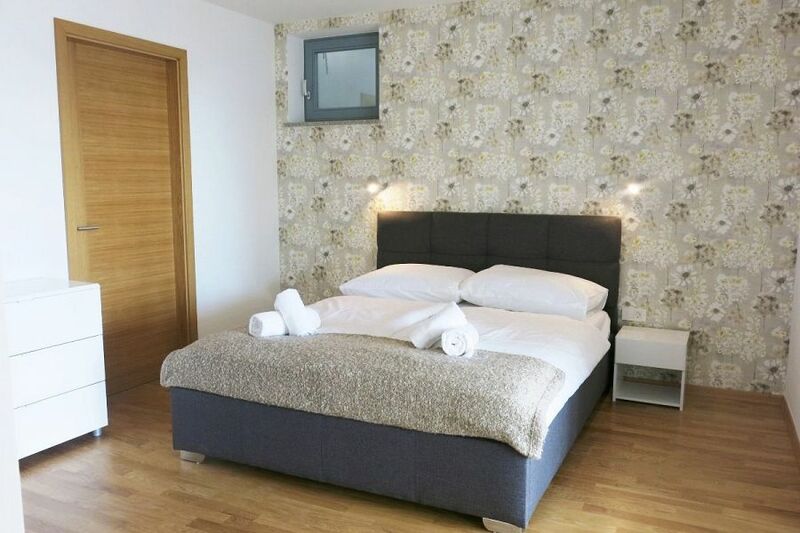 Comfortable accommodation in a great location. The contact to the host was nice and uncomplicated. The region is definitely worth a trip. 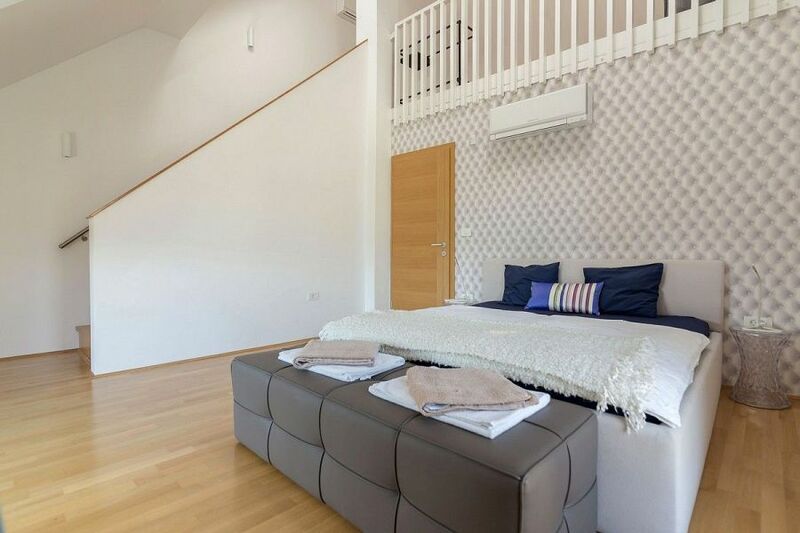 Villa Recica is a spacious, contemporary villa in a beautiful position just a few hundred metres from the shoreline of world famous Lake Bled. The South house offers 4 bedrooms, with fantastic high specification interior design, in a tranquil setting with a wonderful view over Lake Bled with the rugged Karavanke Mountains in the background, with a fantastic lakeside beach area 20 mins walk away.